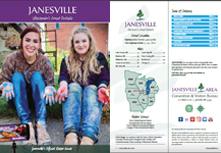 As an independent non-profit corporation, the Janesville Area Convention & Visitors Bureau (JACVB) relies on our valued volunteers to support our work to promote Janesville as a destination for leisure and business travel. Volunteers are needed to staff the Visitor Information Center in Palmer Park daily mid-May though mid-September. Shifts are 9 am - 1 pm and 1 pm - 5 pm. 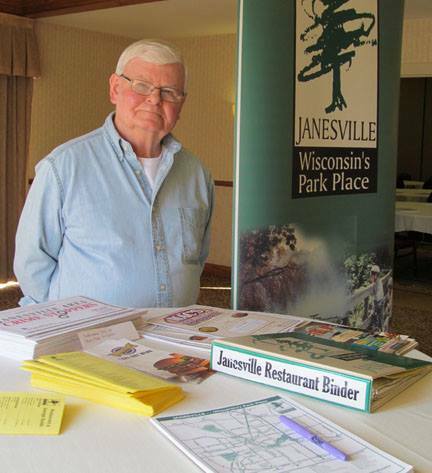 Skills needed include: the ability to give directions, a familiarity with Janesville, the ability to work alone. Two-person teams are also welcome. Volunteers are needed intermittently to help with mailings, gift bag assembly, counting and assembling brochures and organizing projects. Skills needed include: the ability to count in large quantities, to pull and place stickers and address labels, and to sit for a long periods of time. Volunteers are needed to assist at the registration tables for large meeting and convention groups. Skills needed include: the ability to read through lists of names and cross-reference individual names, a familiarity of Janesville, being comfortable talking to strangers. If this sounds like something you would enjoy call Sandi Walton, JACVB Office Manager at 608-757-3171!